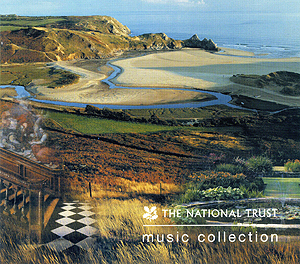 A 3 CD set of classical music inspired by the landscapes, gardens and treasures of The National Trust. Includes Chartwell, a piece written by Ant and recorded by the BBC Concert Orchestra, conducted by Alan Wilson. This track was originally recorded for an Atmosphere Music Library project called English Pastoral. In none of the properties of The National Trust does contemporary history come so vividly to life as Chartwell, home of Sir Winston Churchill from 1924 until the end of his life. The great statesman drew inspiration from its views across the North Downs, while in the political "wilderness", as Prime Minister, and in retirement. Here he painted, dug out the lakes, built the famous wall and fed the fish in the water garden. It is a moving place to visit. Something of its atmosphere is reflected in this piece by Anthony Phillips, who began as a founder-member of the rock band Genesis and now composes for film and television.